This is calling to those feeling to deepen their embodiment of peace, using the art of chanting sacred sounds. An immersion to experience mantra singing and sound meditations that will reset your senses, offer a chance to cleanse and purify in a joyful way and open a broader awareness into our everyday habits and ways of being. We move between sound and silence. A deep space that we co-create. More meditation focussed than a regular chanting concert, though not lacking in uplifting and ecstatic singing sessions. A grounded and potent, yet light hearted opportunity. Receive insights why L&M dedicate their lives to this simple but profound world of chanting. 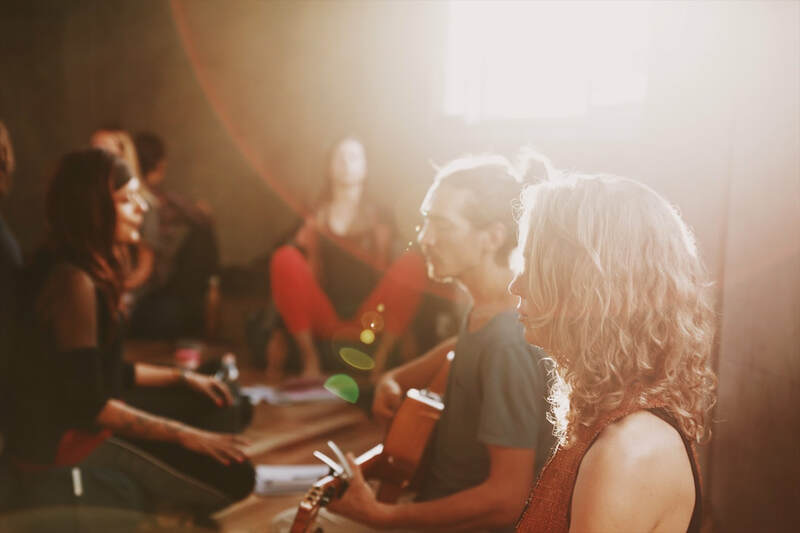 They will offer their understanding what happens when we sing mantra, unite one voice and rest into silence together, as they have shared in workshops and yoga teacher trainings around the globe. Why do we feel so good afterward chanting? What changed? We will also explore techniques to befriend our voices and be empowered by the beauty and uniqueness of our true sound. We follow the tradition of our hearts and connect straight to the pure universal, all inclusive essence of these practices. No experience required. Adults only please. I loved it! Both you guys hold such wonderful and beautiful space. I loved how you incorporated the the intellectual aspect of how come mantra is so powerful and also how it corresponds with the 8 limbs of yoga. It was great to have space to integrate the mantras, have some movement at the start and also allowing people to land/settle in warming up the vocal chords.